If there's one job on your Audi that won't tolerate shortcuts or mistakes, it's a timing belt replacement. There are no do-overs to be had - get it right the first time, or pay. We know what it takes to do this job. That's why our Ultimate timing belt kits include the things you need to do a trouble-free, lasting t-belt service: premium timing belt plus tensioners, rollers, seals, water pump and thermostat. Move up to kits with coolant and a high strength Gates Racing belt, as needed. 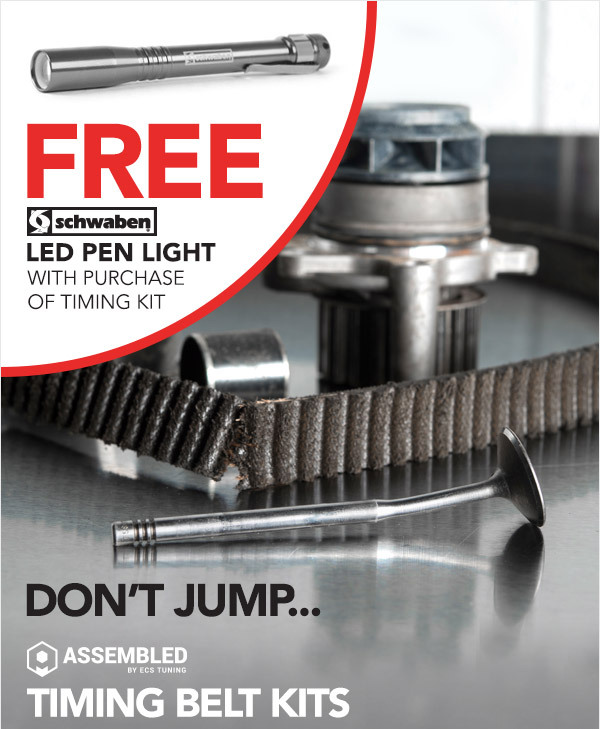 To make the deal even sweeter each ECS Assembled Kit now includes a FREE Schwaben LED Pen Light!